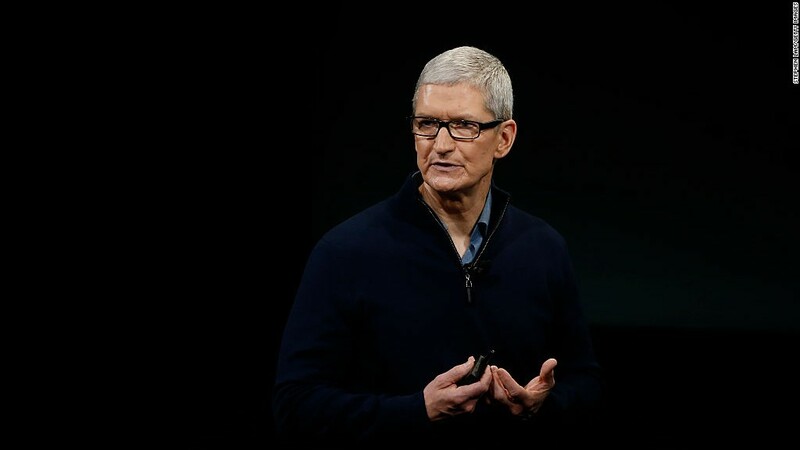 For years, Apple CEO Tim Cook has called on Washington to make it less costly for his company to bring back the billions of dollars it holds overseas. Just in time for Christmas, Cook finally got his wish. As part of the tax bill signed last week by President Trump, corporations like Apple (AAPL) will enjoy a repatriation tax rate of 15.5% for returning money to the U.S. from their overseas cash piles. The new rate is higher than the "single digits" amount Cook once asked Congress for in 2013, but it is nonetheless significantly below the previous repatriation tax rate of 35%. Now Apple and Cook face a put up or shut up moment. Will the world's most valuable company continue to rely on the tax havens for which it has been criticized, or make good on returning the money to its home country? And if it does bring it back, who will really benefit? On an earnings call days after President Trump's inauguration, Cook said any tax reform package that encouraged repatriation would be "very good for the country and good for Apple." Apple is by far the top cash hoarder. 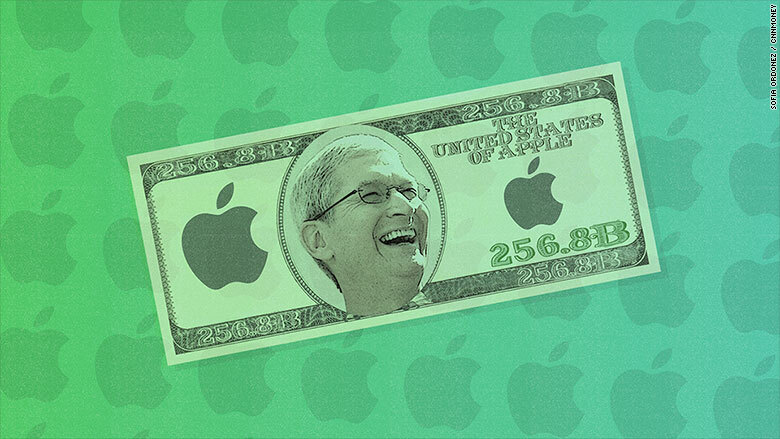 At the end of the most recent quarter, Apple had $268.9 billion in cash and marketable securities, more than $250 billion of which was held outside the United States. Related: CEOs aren't so sure they'll invest their offshore cash in the U.S.
Angelo Zino, an analyst who tracks Apple for CFRA Research, expects the company will take advantage of the tax break to bring back "nearly all of its international cash." Once it does, Zino says Apple's top priority will likely be "accelerated" share buybacks. Apple has already committed to a $300 billion capital return program that includes buybacks and dividends for shareholders. Analysts with Barclays echoed Zino's prediction in an investor note last week listing off the "most likely" uses for Apple's repatriated cash: "Significant capital returns and possibly a small ramp up in acquisitions." Noticeably absent from the list: Reinvesting the money in American workers, either through expanding its operations and supply chain at home, or substantial pay increases for U.S. employees. "We don't believe the primary use of repatriated cash will be manufacturing expansion [and] hiring," Zino told CNNMoney. But he says it "will certainly help" these causes. After all, even devoting a tiny percent of the quarter trillion-dollar pot to hiring would be a vast sum. Reps for Apple did not immediately respond to a request for comment. But statements earlier this year from Apple executives appear to back up the analysts' assertions. At a conference in February, Apple CFO Luca Maestri said a tax cut on repatriated cash would give Apple "additional flexibility around our capital return activities." When asked about repatriation on the earnings call in January, Cook stayed vague, but left open the possibility of putting it toward acquisitions. "What we would do with it, let's wait and see exactly what it is," Cook said, "But as I said before, we are always looking at acquisitions. We acquired 15 to 20 companies per year for the last four years."